Home / News / Senator Koko Pimental hits PCOO Asec. Mocha Uson over the viral video of Federalism: "Mag-aral muna siya mabuti." Senator Koko Pimental hits PCOO Asec. Mocha Uson over the viral video of Federalism: "Mag-aral muna siya mabuti." 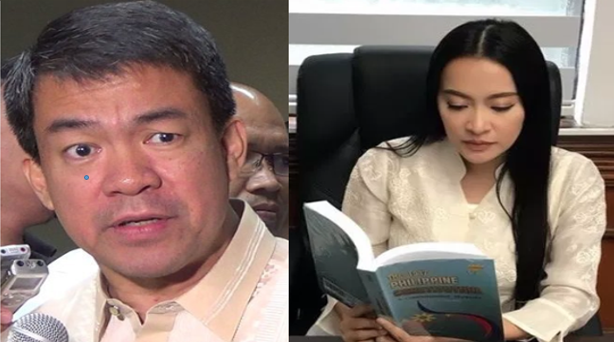 After PCOO Asec's live Facebook video came into social media, former Senate President Aquilino Pimentel III was one of those who did not enjoy the game show. 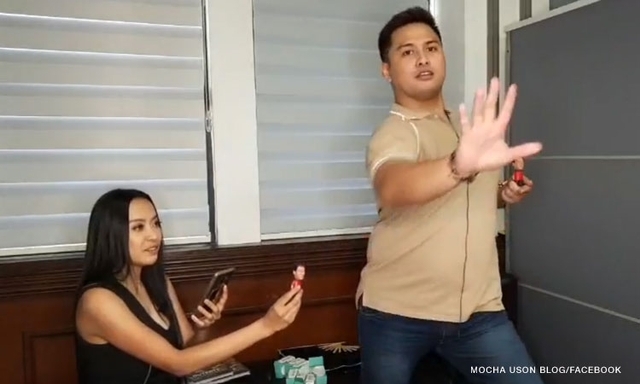 Mocha Uson and well-known DDS supporter blogger Drew Olivar, was seen in a video on Facebook at Uson's page which was entitled the "Good News Game Show," and federalism chant was showcased by people with fascination. Olivar dances with a dance step fancifully saying the word federalism in a rude way. Many netizen did not liked Olivar's jokes, where Uson was seen only laughing. Netizens said it is a "cheap stunt" and a "disrespect" to the Filipino viewers. Pimental also mentioned that he had previously admired Mocha but because of what had happened he loss his admiration that Uson had been a very influential personality in the administration of Duterte for she have a million of social media followers. “Kasi naman ang pagkaintindi ko ay hindi naman siya ang in-charge kundi isang tao na mas meron otoridad at kaalaman sa [p]ederalismo tulad ng mga [myembro] ng consultative [committee],” Pimentel said. “[Hindi] ko lubos akalain na bababuyin pala nila ang kawsa ng [p]ederalismo. Ilayo na si Mocha sa [p]ederalismo. Mag-aral muna siya [nang] mabuti. Mag-leave muna siya,” the senator advised. Additionally, Pimentel is the leader of PDP-Laban,which staunchly advocates the move to federalism.